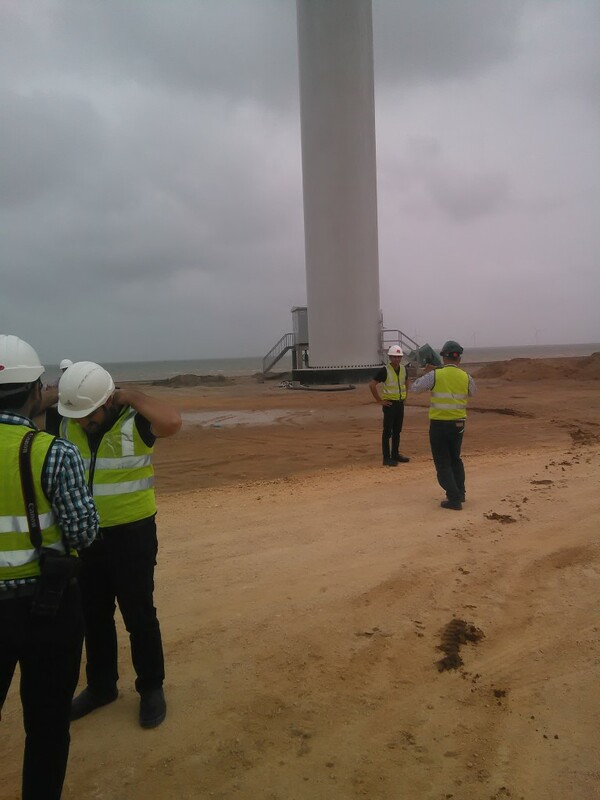 This week we went to visit Tenaga Wind Farm in Gharo being commissioned by Engro Pakistan. 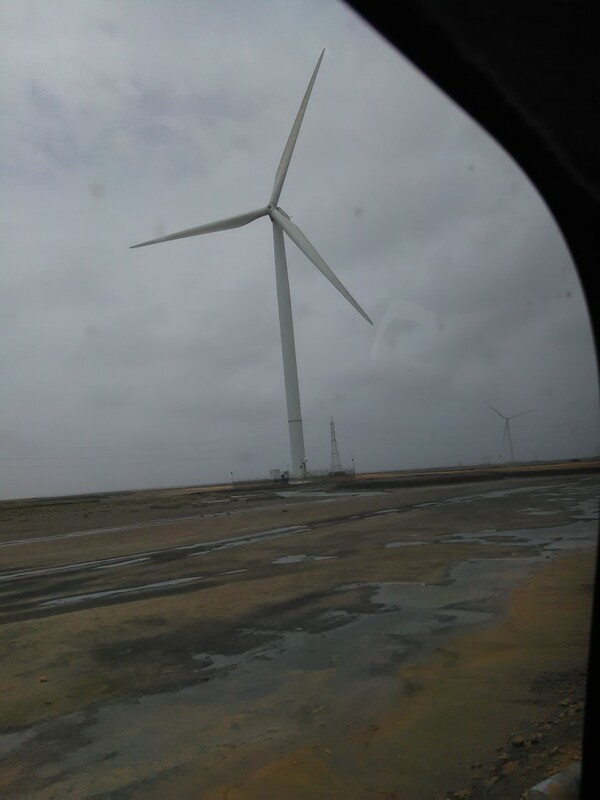 The project has a total capacity of producing 49.5 MW of electrical energy from 31 turbines rated at 1.6 MW each (one turbine out of the 31 produces 1.5 MW). The total cost of the project is $120 m and it is expected that this investment would be recovered in 5-6 years. The cost of a unit (kwhr) is going to Rs.15 as agreed with the Government of Pakistan. The total energy produced annually would be 134 GWh which can be used to calculate the average power produced by the 31 wind turbines. 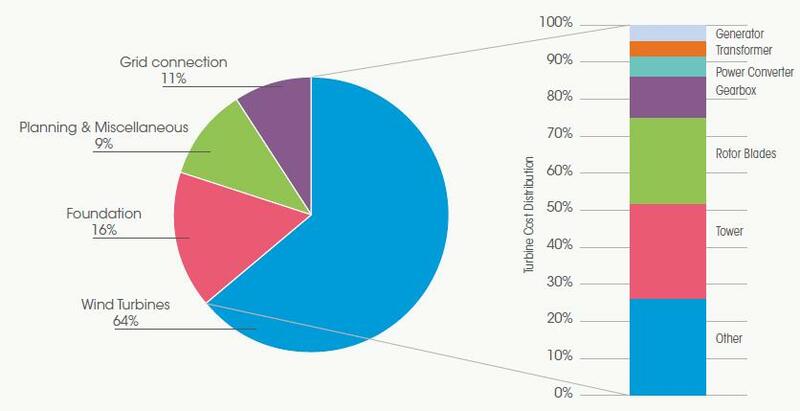 That is the project would produce on average only 30.9 % (15.3 / 49.5) of its rated capacity. Furthermore the electrical energy needs to be converted to a level suitable to be supplied to the national grid. 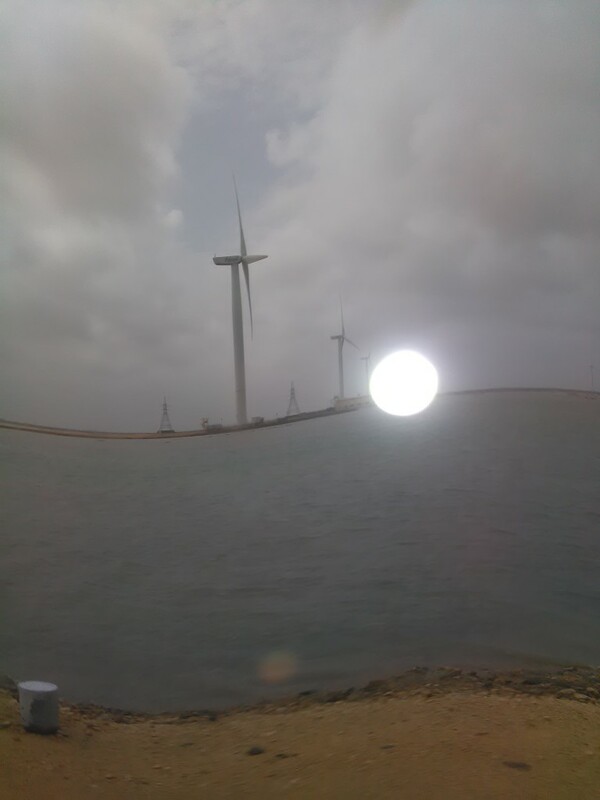 For this the electrical energy is converted from 690 Volts AC to 33,000 Volts AC. 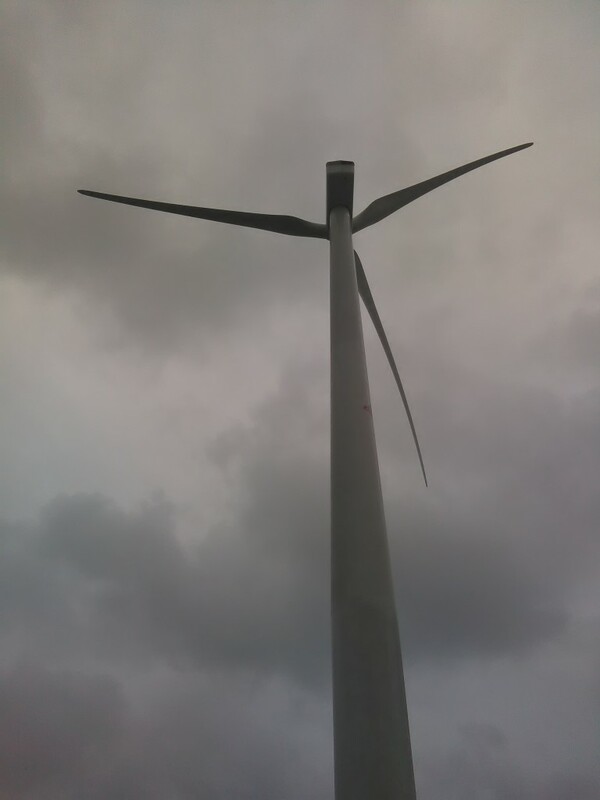 Lastly the project would be monitored and maintained by General Electric (GE) for two years as this is part of the turbine purchase contract. 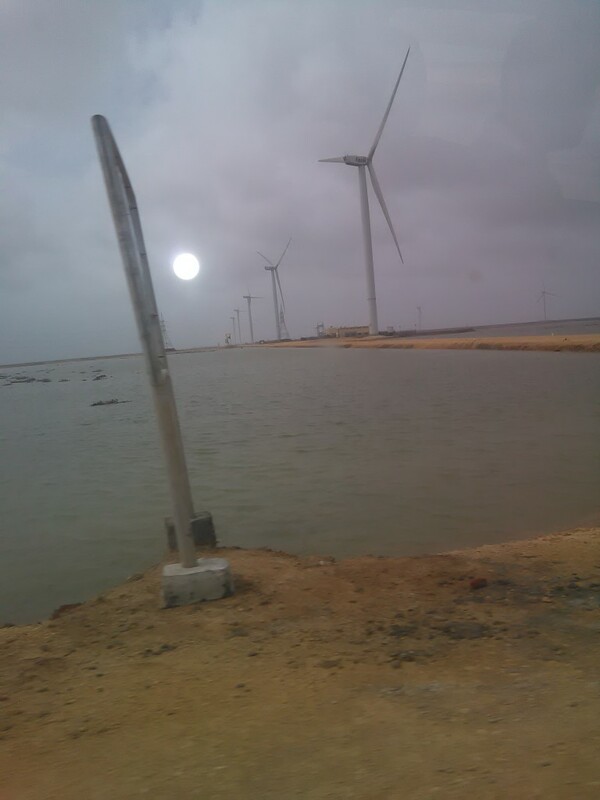 Three such projects are at various stages of installation in Gharo and seven such projects are being undertaken in Jhimpir which is the preferred wind corridor in Sind due to quality/firmness of the soil there. 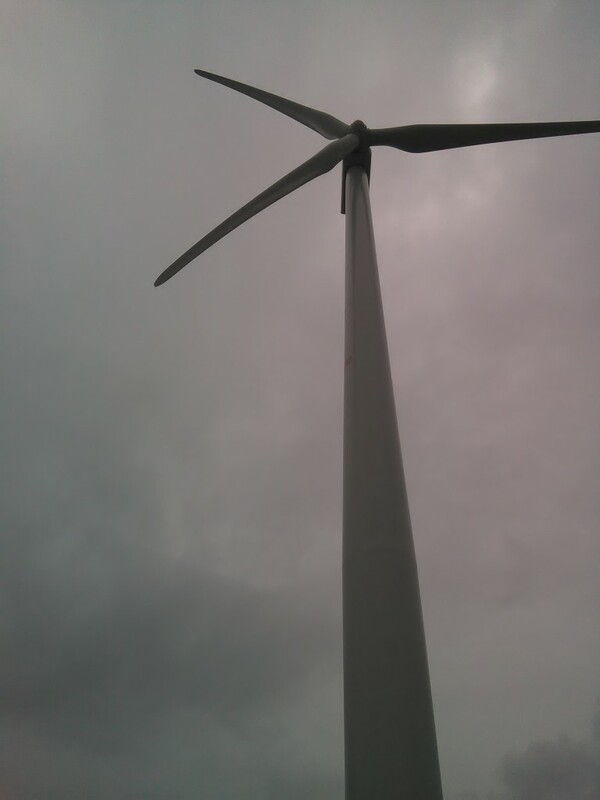 Posted in Energy, Wind Power. 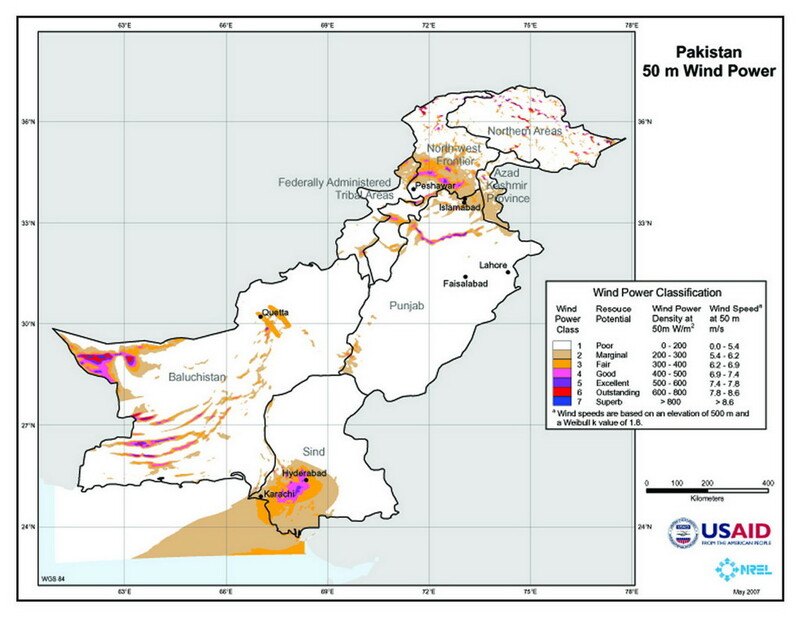 Tagged Alternate Energy, Grid Tied, KWhr, Pakistan Wind Map, Wind.